Italy's coalition government has taken aim at the country's central bank and stock market regulator as it intensifies its attacks on establishment figures in the run-up to the European Parliament election in May. Matteo Salvini, deputy Prime Minister and head of the right-wing League party said on Saturday: "The management of the Bank of Italy and (market watchdog) Consob (Italy's stock market regulator) have to be completely cleared out... We are here because those who should have supervised didn't supervise." Adding, the “fraudsters” who inflicted losses on Italian savers should “end up in prison for a long time”. 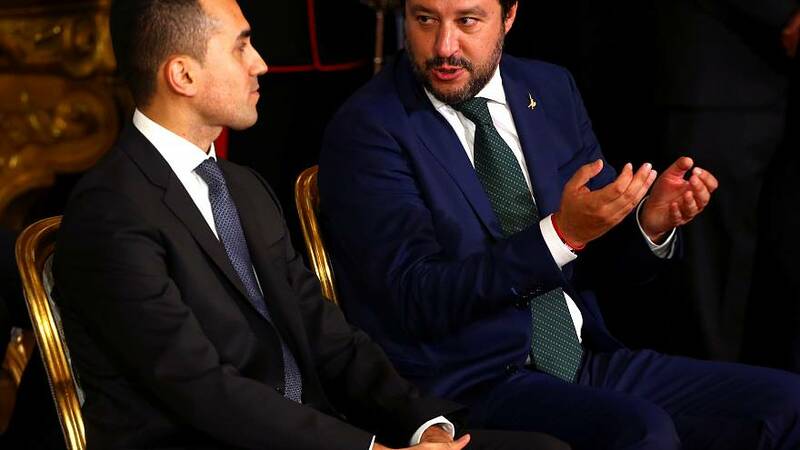 Salvini was speaking with his coalition partner, Five-Star leader and deputy Prime Minister Luigi Di Maio, to an audience of former investors in Banca Popolare di Vicenza and Veneto Banca Vicenza, two of Italy's failed banks. Both populist parties will run against each other in May's Europe vote, a contest which is widely seen as a proxy for national elections. Salvini and Di Maio have recently come to blows over the future of the Alpine rail line and migration issues. They have also increased their attacks on French President Emmanuel Macron and the European Union. On Thursday, France recalled its Ambassador to Italy in a mounting diplomatic crisis. Last month data confirmed that Italy had slipped into a recession in the second half of last year and the Bank of Italy cut its prediction of economic growth for 2019 from 1% to 0.6%. Mario Draghi, president of the European Central Bank warned last year that central bank independence was under threat by populist governments.